The early childhood services of Reggio Emilia in Northern Italy has gained worldwide interest and admiration. 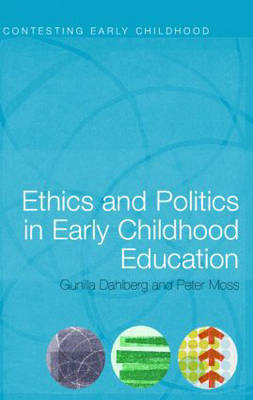 Drawing on the `Reggio approach', and others, this book explores the ethical and political dimensions of early childhood services and argues the importance of these dimensions at a time when they are often reduced to technical and managerial projects, without informed consideration for what is best for the child. post-structural thinkers and their perspectivesthe history and practice of early childhood work in Reggio Emiliaglobalization, technological change, poverty, and environmental degradationethical and political perspectives relevant to early childhood services from Foucault and Deleuze, to Beck, Bauman and Rose. This book presents essential ideas, theories and debates to an international audience. Those who would find this particularly useful are practitioners, trainers, students, researchers, policymakers and anyone with an interest in early childhood education.